I've been a jewelry blogger, writing my Jewelry Without Walls blog for a number of years now. Odds are that if you have a jewelry-related question, I've answered it. My most popular, or maybe I should say most infamous, blog post is this one: Don't By Titanium or Tungsten Wedding Bands. I will revisit and attempt to better explain my opinion on this matter in light of the many comments I received. I will further elaborate on why I believe gold and platinum make better wedding bands than titanium or tungsten. There are two main reasons why I believe you should buy Gold or Platinum instead of Titanium or Tungsten. I gave five reasons in my previous post, but got some flak in the comments for that. Now I've distilled it down to two reasons with a few sub-reasons underneath my two main points. 1. 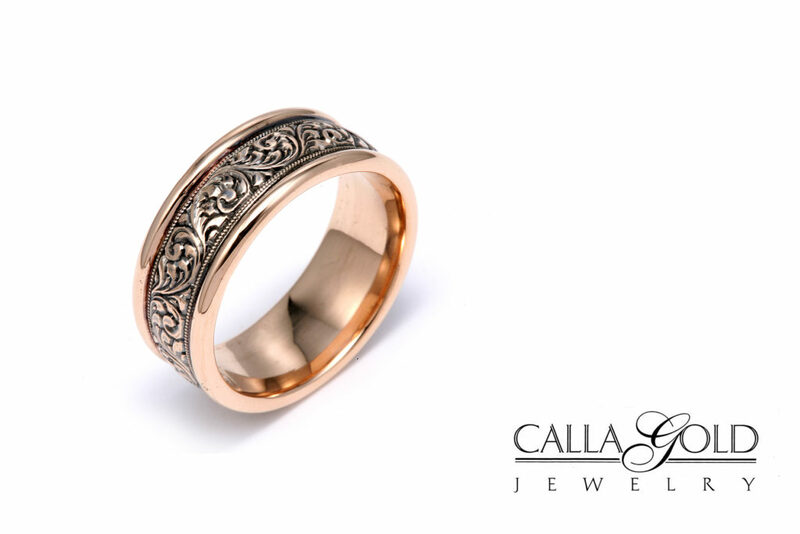 Gold and Platinum bands can be re-sized easily, unlike the unsizeable Tungsten or the barely-resizeable Titanium bands. 2. Gold and Platinum are Valuable, Traditional and Time Honored Metals. Titanium and Tungsten are not. 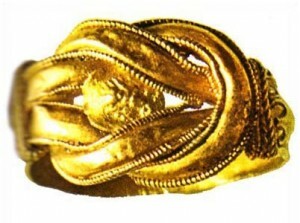 Ancient Roman Gold Hercules Knot Ring. Gold especially has been valued throughout human history. In fact, Gold artifacts have been found in ancient burial sites that date as far back as the 4th millennium BC. You would find it difficult to think of a civilization that didn't value gold. Gold is prominent in legends, such as Jason and the Golden Fleece. Gold is mentioned frequently in the Old Testament, such as the story of The Golden Calf or the golden altar on which the Menorah was placed. Gold and Platinum can be re-sized quite easily. 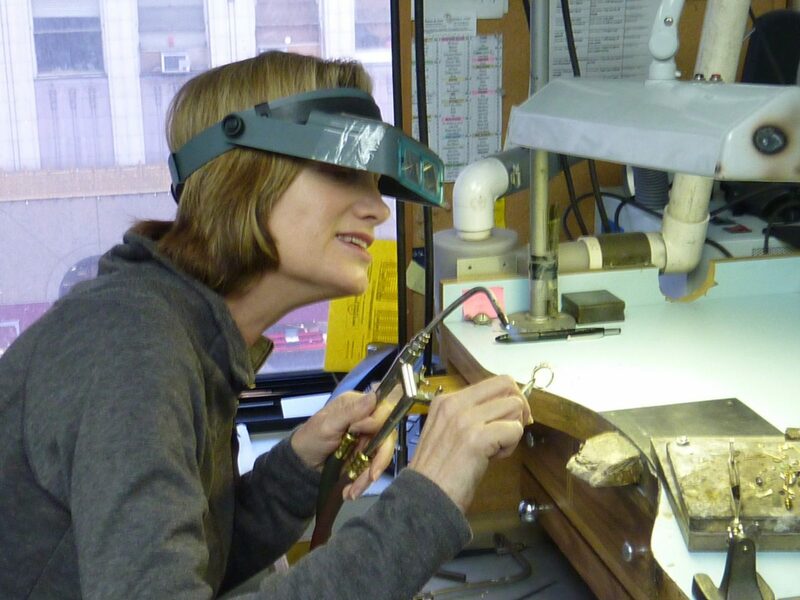 Almost all jewelers should be able to provide this valuable service. As a jeweler of 30 years I've sized my share of wedding bands and I'm here to tell you, most people have changes in their finger size once they are married for a while. I don't know about you, but if I couldn't size my wedding band that I said my vows over I'd be pissed. Call me sentimental but I'd like the have the original ring on my finger. Tungsten can't be resized. No if, and's, or buts. Oh yeah, tungsten bands can break when you drop them. While I am ragging on Tungsten, a commenter on my previous blog post on tungsten and titanium, pointed out that it can break easily. She shared videos of a six year old breaking one with a hammer. 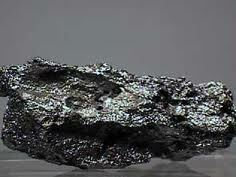 She'd started a petition to raise awareness of the brittleness of tungsten. She had dropped her husband's band, (during the ceremony?) and it broke. She felt that a ring that shatters is not a good representation of a lasting love. Video of a breaking Tungsten band. Titanium bands can (barely) be altered to fit your finger if it gets bigger or smaller, but the process isn't as simple as re-sizing Gold or Platinum. First of all, there are not many jewelers who have the machine shop tools necessary to (barely) re-size titanium. So you're far more likely to get told that it's not possible. In case your curious about how a titanium band is made here's a video. How do You Change the Size (Barely) of Titanium? In order to increase the size of titanium band the inside of the ring must be milled out. Depending on your ring's thickness this may not be a problem, but if you have a thinner ring and an expanding finger, then it may become impossible for you to wear your ring. Even if it can be milled (ground) thinner to give your finger more room, you'll only get a half to full size larger at the max. I'm sorry to say that many people married for many years have their finger size increase over one size. To reduce the band's size, a titanium sleeve must be milled and then pressure fit into the ring. The edges then need to be fixed up so that it will be hard to tell that anything was added. Hey if your hand shrinks too much you could end up with multiple layers inside your band, giving you the world's thickest band and not be able to touch your fingers together. What is Normal Ring Sizing Like? If you want a more in-depth explanation of normal gold and platinum ring re-sizing then read a previous blog post of mine, "Ring Sizing Explained." Simply put, gold and platinum are worth more than titanium or tungsten. This is due to Gold and Platinum being far more rare. Your ring is a symbol of two peoples' commitment to each other, but it is also an investment, one that may be passed down to your children. I've had people tell me that they don't see a point in buying a gold or platinum band because they require more maintenance. If that is really a deal breaker than I ask you, why spend the time and money keeping your car clean and tuned up? The upkeep on gold or platinum may be more costly than with titanium or tungsten, but in my opinion, it's worth it. Now, I understand that some people stress that a wedding band is a symbol of the bond shared between two people, and that the bond is what matters most. I completely agree that the bond is the most important thing. 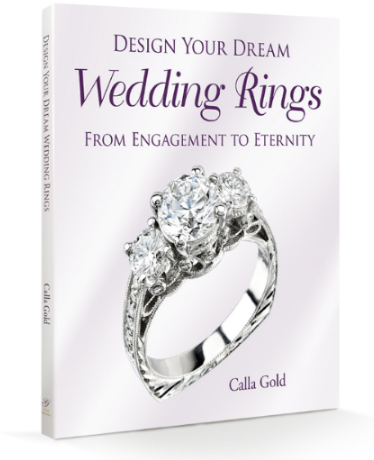 You may find yourself at a point in your life where you can't afford a gold or platinum ring. Or perhaps you want to save on the ring because the dress or photographer needs that budgeted money. My photographer friends will kill me for this, but if I had to choose between the photography and my wedding ring, I'd spend the money on the wedding band, that tangible symbol of love that I wear everyday. A friend of mine did chose great rings over a photographer and pre-made her food. She had a punch bowl at the sign-in book with disposable cameras in it and we all took pics. Ultimately it's a matter of tradition for engagement rings to be gold, and it's a tradition that can be traced back to the time of the Romans in the second century B.C.. The Roman bride was given two rings, a gold one which she wore in public, and one made of iron, which she could wear at home while doing house chores. There are some of you who don't care for tradition, and that's fine! However, I believe that your wedding ring is the most important piece of jewelry you can own. It tells the world you are married. It tells your spouse everyday that you love them and are happy to share your life with them. I personally think that using a special, valuable metal is the way to go. There's a reason we don't wear plastic wedding bands. Do I Hate Titanium or Tungsten? No, I do not hate them. I think they're fine on any finger but your wedding finger, or as back-ups if you are really worried about damaging your gold or platinum wedding band. If you read the comments from my previous blog you'll see some very pro-titanium folks have commented. This is my response, I hope it helps you in your decision making process for your wedding bands. May Your Marriage Last a Lifetime! 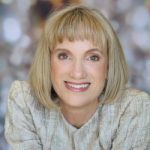 Very interesting article Calla… I have personally always been a fan of gold bands! However I never knew that titanium and tungsten were so difficult to work with. Thanks again for your professional opinion on this. Another very informative article, Calla! I didn’t know about how titanium and tungsten couldn’t be sized. And having had to size my and my husband’s rings I can see that you want to have metal you can alter in your wedding rings. I definitely like the idea of following tradition too. I’ve had my white gold wedding ring for many, many years, and it still looks beautiful! You gave some great reasons for sticking with what we know works. Thanks to this post I went back and read your “Don’t Buy Tunsten or Titanium Wedding Bands” post. Then I read the comments. It was at times most entertaining. I see why it was your biggest response post. Calla~ so interesting! My wedding band has had to be resized several times over the 31 years that I have been married. At one point, due to arthritis, I had to have my band cut off! Luckily it is gold and my jeweler was able to easily resize it! Originally, i bought my husband a wedding ring that was silver with turquoise- he broke it the first time he wore it to work. We replaced it with a gold band and have been very happy with that! I really appreciate your expertise! That symbolizes everlasting love perfectly. Just wear the ring only when convenient, it’s too fragile to wear all the time. That’s exactly how I feel about my wife. A true symbolic ring would be the tungsten one I have, untarnishable, unscratchable, not necessarily intrinsically valuable to investors, but permanent and unchangeable and always with me no matter what I do.